This was a fun book for kiddies 10+, normally I never assign an age group to books, but this one is a bit lengthy and doesn't have that many illustrations, so younger children might get a bit bored. 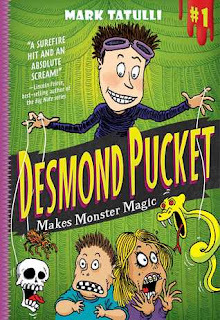 In this book we meet Desmond Pucket, a very energetic middle schooler with a flair for monsters. 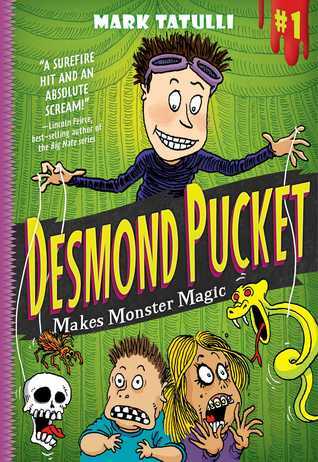 As he navigates school, evil teachers and crushes, we see Desmond try really hard not to get into too much trouble. You'll definitely laugh with this one.